Several civil society organisations led by Paryavaran Suraksha Samiti (PSS), Vadodara, in close coordination with the Gujarat Pollution Control Board have released reports'on joint investigations by pollution levels in the prime water source of Ahmedabad District, Sabarmati river, finding their condition disastrous. The reports note that Sabarmati river in the Ahmedabad City stretch, beyond the much- publicised riverfront, is dry, though within the riverfront project stretch it is brimming with stagnant water. In the last 120 kilometres, before meeting the Arabian Sea, "it is dead and comprises of just industrial effluent and sewage", it states, providing figures to leave IRS point. 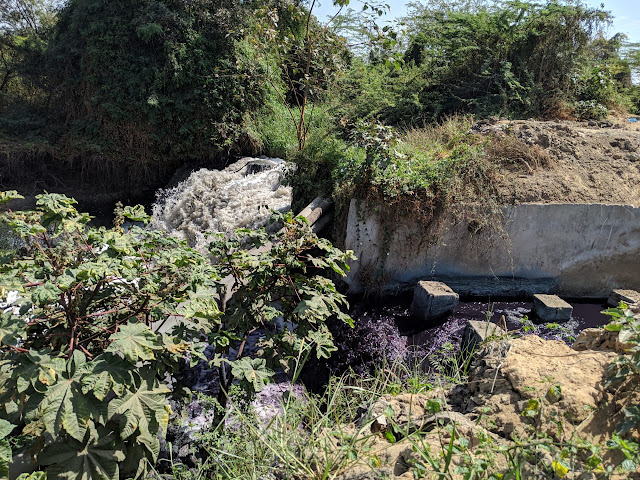 On March 12, 2019, regional officers Tushar Shah and Nehalben Ajmera of the Gujarat Pollution Control Board (GPCB), Rohit Prajapati and Krishnakant of the Paryavaran Suraksha Samiti (PSS), social activist Mudita Vidrohi of Ahmedabad, Gujarat High Court lawyer Subodh Parmar conducted a joint investigation. This was conducted in the context of implementation of the order, dated February 22, 2017 of the Supreme Court in the Writ Petition (Civil) No 375 of 2012 (Paryavaran Suraksha Samiti & Anr V/s Union of India & Ors) about the status of industrial effluent and sewerage discharge into the Sabarmati River stretch of Ahmedabad district. 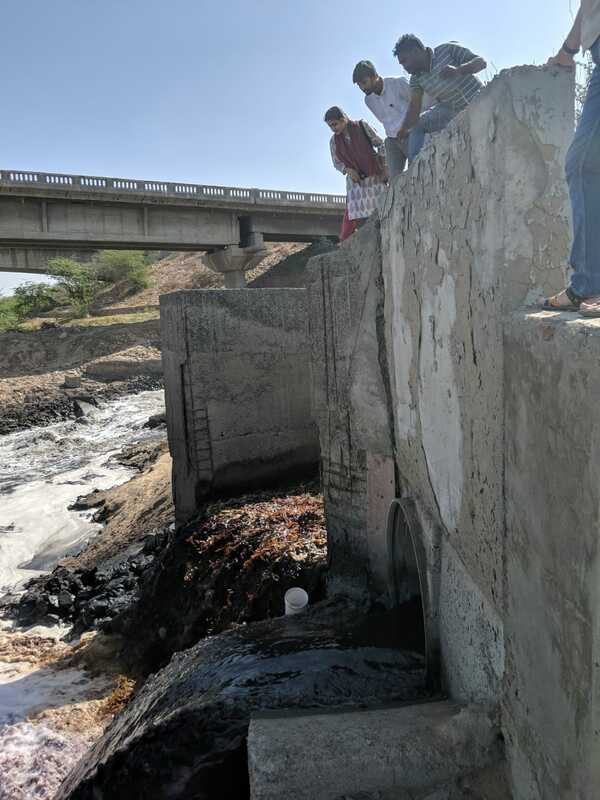 The investigation report is shocking and reveals disastrous condition of Sabarmati river in and around Ahmedabad district and about 120 kilometres downstream. Sabarmati river no longer has any fresh water when it enters the city of Ahmedabad. 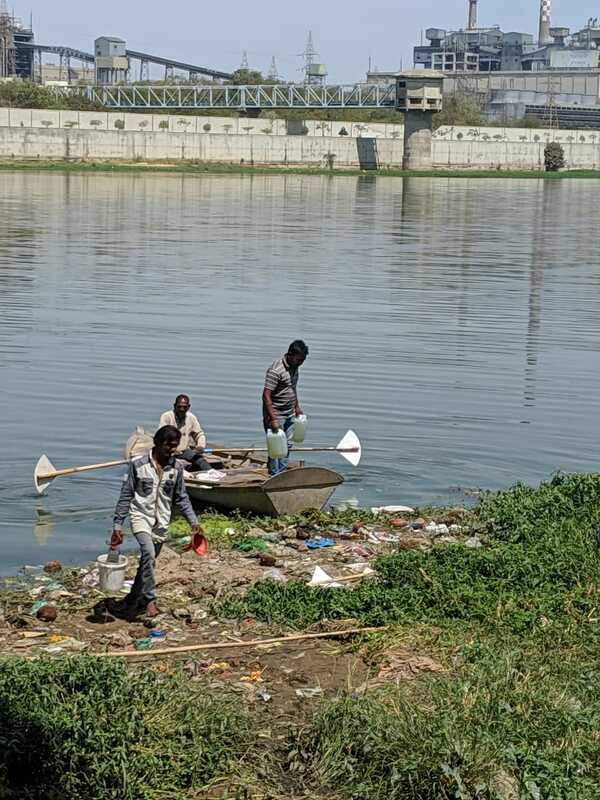 The Sabarmati Riverfront has merely become a pool of polluted stagnant water while the river, downstream of the riverfront, has been reduced to a channel carrying effluents from industries from Naroda, Odhav Vatva, Narol and sewerage from Ahmedabad city. The drought-like condition of the Sabarmati river intensified by the riverfront development has resulted in poor groundwater recharge and increased dependency on the already ailing Narmada river. The investigation reports speak for themselves. The investigation raises fundamental questions against both, the polluting industries that discharge their untreated effluents into the Sabarmati river, and the Ahmedabad Municipal Corporation that discharges their poorly treated, untreated sewerage into the Sabarmati River. GPCB's top cadre officials have failed in their duties and responsibilities to protect the Sabarmati river’s water quality, in spite of the Supreme Court order dated February 22, 2017, directing strict compliance of effluent treatment standards, continuous monitoring and closure of defaulting industries, and orders dated August 3, 2018 and February 19, 2019 of the National Green Tribunal (NGT), Principal Bench, Delhi, in Original Application No.593 of 2017, (Paryavaran Suraksha Samiti & Anr V/s Union of India & Ors) for implementation of the Supreme Court order. The water in Sabarmati Riverfront has 4.66 mg/l DO, 98 mg/l COD, 28 mg/l BOD, 96 mg/l sulphate, 153 mg/l Chloride, and 668 mg/l TDS. The first outfall of STP of Ahmedabad after Vasna Barrage (after Sabarmati Riverfront) 160 MLD has 337 mg/l COD, 139 mg/l BOD, 108 mg/l sulphate, 186 mg/l chloride, and 732 mg/l TDS. The second outfall industrial effluent of Ahmedabad after Vasna Barrage – storm water drain from Dani Limda (after Sabarmati Riverfront) has 1301 mg/l COD, 536 mg/l BOD, 462 mg/l sulphate, 933 mg/l, chloride, and 3135 mg/l TDS. The third outfall of STP of Ahmedabad after Vasna Barrage (after Sabarmati Riverfront) 800 MLD has 587 mg/l COD, and 218 mg/l BOD. The fourth outfall of industrial effluent from Naroda, Odhav and Vatva industrial Estates (mega pipeline) after Vasna Barrage (after Sabarmati Riverfront) 40 MLD has 1052 mg/l COD, 210 mg/l BOD, 863 mg/l sulphate, 4025 mg/l chloride, and mg/l 9813 TDS. The Sabarmati River 100 mtrs. 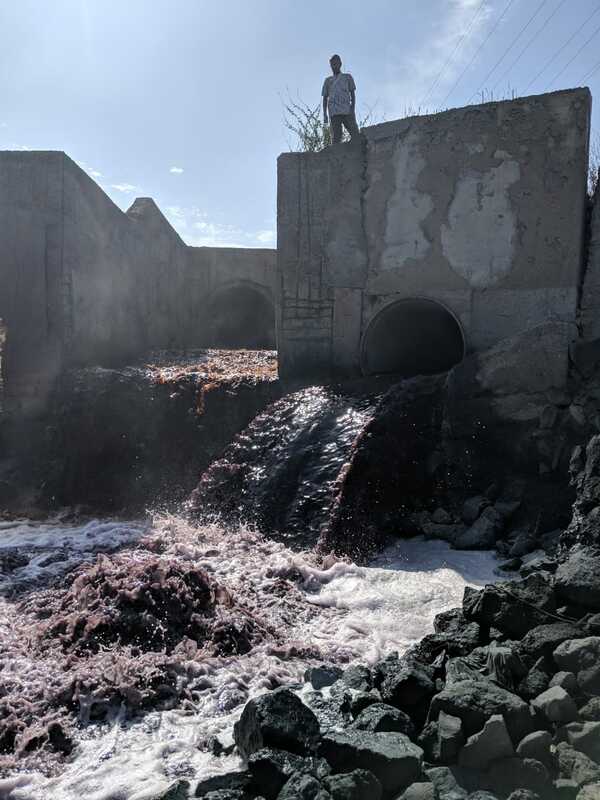 after STPs and Industrial Effluent Outfall has BDL (Beyond Detection Limit) DO, 1009 mg/l COD, 447 mg/l BOD, 612 mg/l Sulphate, 1665 mg/l Chloride, and 4368 mg/l TDS. Miroli village pumping station 21 kms. 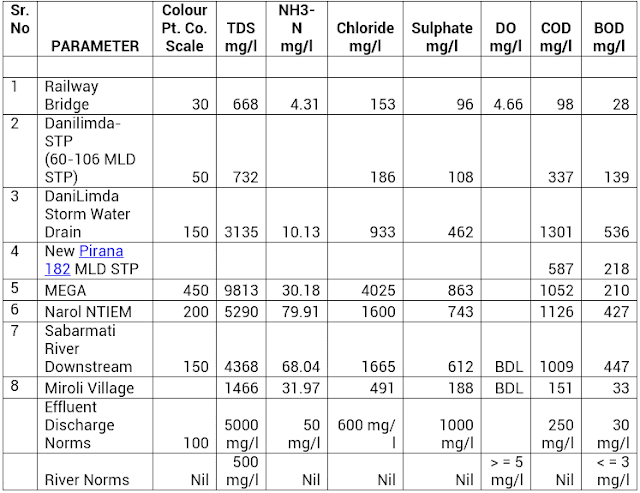 downstream of Vasna Barrage BDL (Beyond Detection Limit) DO, 151 mg/l COD, 33 mg/l BOD, 188 mg/l Sulphate, 491 mg/l, chloride, and 1466 mg/l TDS. The pathetic and dismal condition of the Sabarmati river is a cause of grave concern for the health of the people of the Ahmedabad city and the villages around the river downstream of riverfront who rely on the river water for their daily use and livelihood. Some of the major direct and indirect effects of the high levels of pollution on the people and environment includes contamination of ground water, food contamination, associated health hazards, loss of natural river habitat, depletion of ground water levels due to lack of water recharge, loss of flora and fauna, etc. Urgent action is necessitated in light of these findings to rejuvenate and restore the Sabarmati River and its water quality, which calls for the strict implementation of the Supreme Court Order by the concerned authorities. GPCB immediately issue closure notices to all the defaulting industries located in Ahmedabad industrial clusters, in implementation of the Supreme Court Order dated Frbruary 22, 2017. GPCB immediately issue closer notices to all the defaulting CETPs of the Ahmedabad industrial cluster, in implementation of the Supreme Court Order dated Frbruary 22, 2017. GPCB immediately issue notices to the Municipal Commissioner of Ahmedabad to ensure compliance by all STPs in the area. GPCB should file criminal cases against the all owners/directors of the defaulting polluting industries, the officers of the CETPs, and the Municipal Commissioner of Ahmedabad. Ensure interim exemplary monetary compensation along with medical services to the farmers and villagers who have suffered from the groundwater pollution. Immediately pay interim compensation per season per acre to the farmers who are forced to use contaminated Sabarmati River water and groundwater for irrigation of agricultural land and hence are facing several severe problems. Appoint a competent interdisciplinary committee, of officials and field experts, to assess the ongoing and past damages to quantify the real compensation payable to the farmers for the damage done. Implement the order, dated February 22, 2017, of the Supreme Court in Writ Petition (Civil) No 375 of 2012 (Paryavaran Suraksha Samiti & Anr V/s Union of India & Ors) and NGT, Principal Bench, Delhi Order, dated August 3, 2018 and February 19, 2019, in the Original Application No. 593 of 2017, (Paryavaran Suraksha Samiti & Anr V/s Union of India & Ors) in letter and spirit.